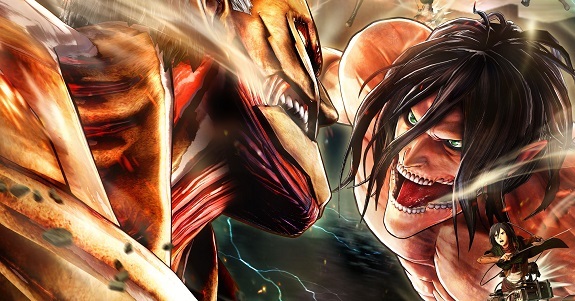 In this post, you will find all there is to know about the Software updates for Attack on Titan 2 (originally released on March 15th 2018 in Japan, and March 20th 2018 in Europe and North America). How to download updates for Attack on Titan 2 for the Nintendo Switch? A new difficulty level of “Heaven” has been added to the options.At this level of difficulty, an unlimited number of items can be carried in battle. Learnable player character skills have been added. Once learned, these skills of the anime series characters become equippable after winning a battle. Functionality to choose the in-battle background music has been added to the selection screens for scout missions and past missions. Titan Elimination Training (Expulsion) and Titan Elimination Training (Showdown) modes have been added to the Titan Research Room. Multiple pieces of equipment can now be developed at once. Multiple selections of materials are now possible when reinforcing weapons. Generic Statements of Deployment have been added to the regiment store. They become eligible for purchase after winning a battle. Additional notes: more details can be found in this post! Fixed an issue related to inputting the main character’s name. Showdown Mode now available in Online Play. You can now turn in battle slow motion on and off via the Options menu. Expulsion Mode now available in Online Play. Predator Mode now available in Online Play. The Titan Biological Research Report command is now available in the Titan Research Room in Story Mode. The distance between you and the Titan you are battling will be displayed in the Options menu. In Online Play’s Annihilation Mode, you can now indicate which team you wish to join while waiting in the lobby. The user interface has been changed in Online Play’s Annihilation Mode.